Oldřich Pošmurný was born on 8 April 1942 in Tábor. He studied graphic design of books and magazines with Prof. Vladimír Ringes, history of book design with Prof. František Klikar, and illustration and figure drawing with V.J. Žižka. After graduation Oldřich Pošmurný worked as a graphic editor in the Svoboda publishing house. From 1968, he worked as a free-lance graphic artist. He cooperated with Prague-based book and music publishers. From 1965, Oldřich Pošmurný designed more than two thousand book covers, dust jackets and book designs, over one hundred company logos, product trademarks, exhibition logos and logos for cultural events. 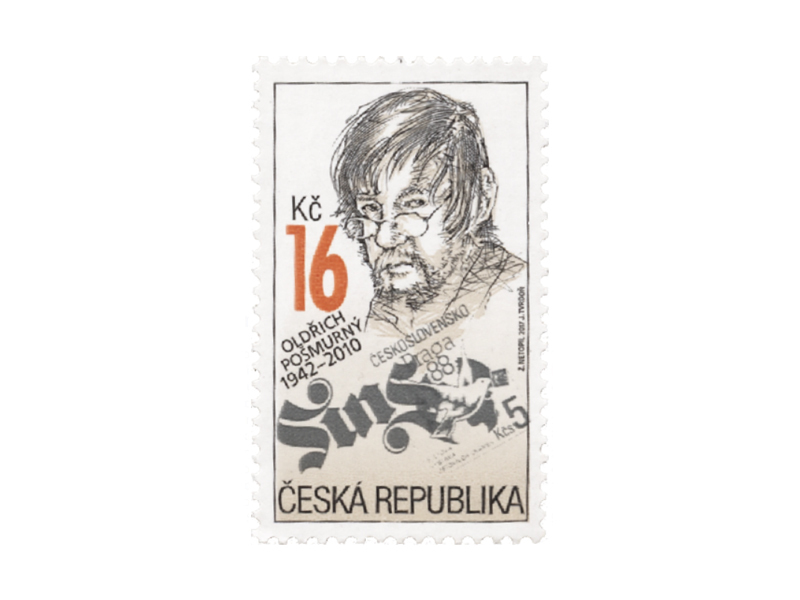 Oldřich Pošmurný was awarded an honorary diploma of the Mladá fronta daily for the winner of the 1986 Best Czechoslovak Postage Stamp Award; the winning stamp commemorated the 100th anniversary of the introduction of R-stickers. Oldřich Pošmurný went on to design the stamp series Circuses and Vaudeville, co-design the series Zdeněk Burian’s Ancient Dinosaures, design postcards commemorating 90 years of Czech scouting. He also designed the postcard marking the 400 years of the municipality of Žďár nad Sázavou. 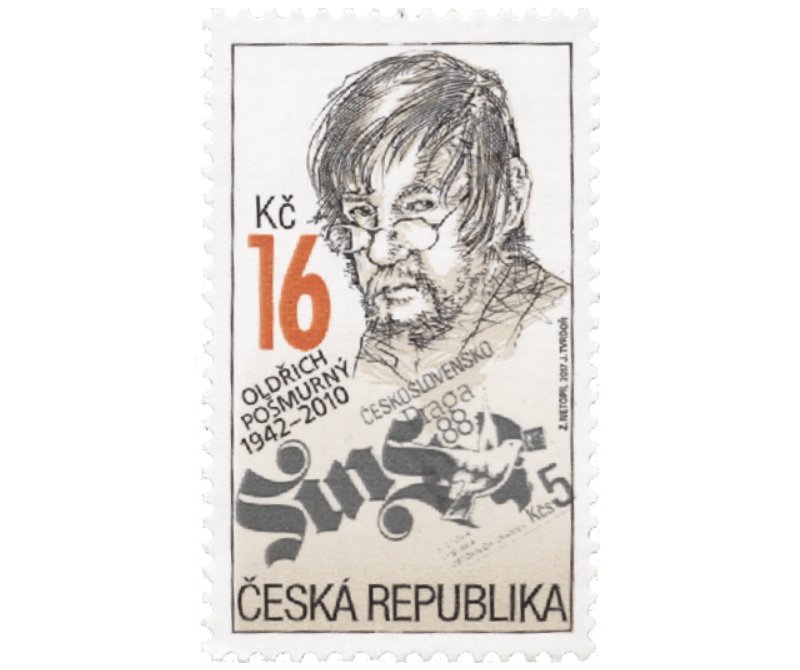 Oldřich Pošmurný died on 2 May 2010, aged 68.